Thought I would try a Guy Card. 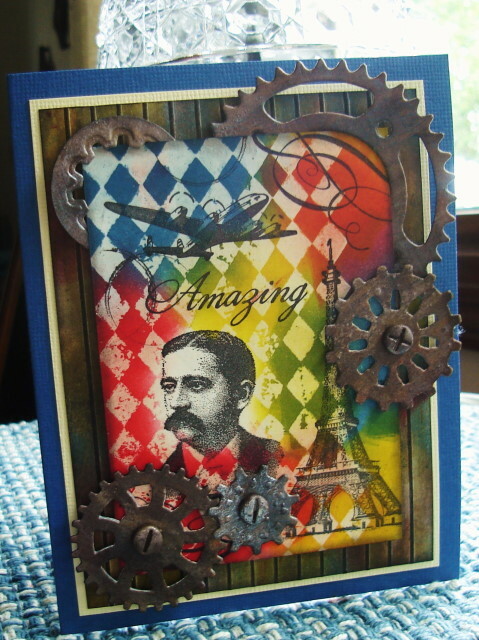 I had bought this Spellbinder Die (Sprockets) some time ago and here again just getting around to using it. 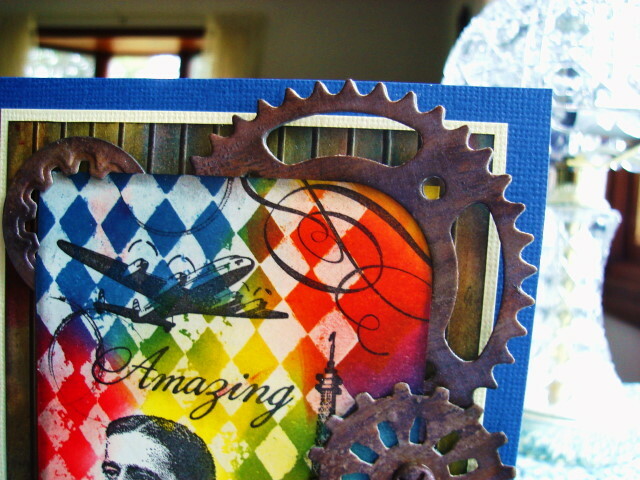 I’m not sure what they use to color the gears with, so this is a mix of everything I had on hand. Some Acrylic paints, some distress inks and Color Box Silver ink. I even colored the brad heads to match. My stamps are from Amuse Studio’s, Stampers Anonymous and Hero Arts. Hope you enjoy the Guy Card. 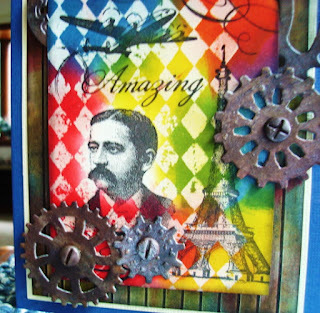 I love the contrast of the bright, contemporary colours with the Steampunk theme and that man is rather dashing LOL. Sensational! I love the bright colors! This is so eye catching, Vada! 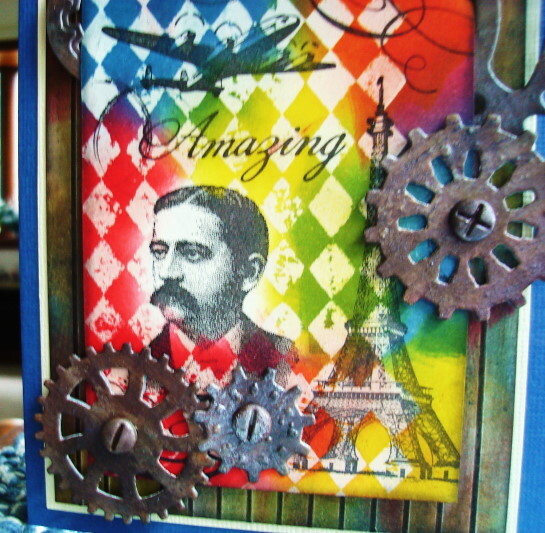 Love these vibrant colors and the way you masked off that steampunk dude! Very cool! If I click on you blog title now and not the link, I can see your WOA! Really strange, but at least now I can see this! Hugs! Great job! What a gear head he is! Wow, Vada, that is striking! Love your colors and the awesome sprockets. love the bright and vibrant colours in combination with the colours of the gears, just brilliant.